Handling of ETO contracts on most exchanges, including equity derivatives and interest rate futures. 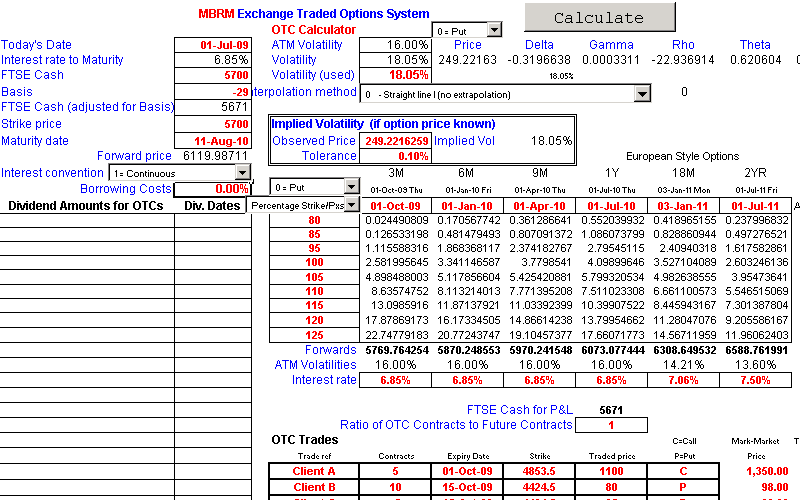 Evaluation of FTSE options on the LIFFE exchange, including the modelling of early exercise (wild card option). 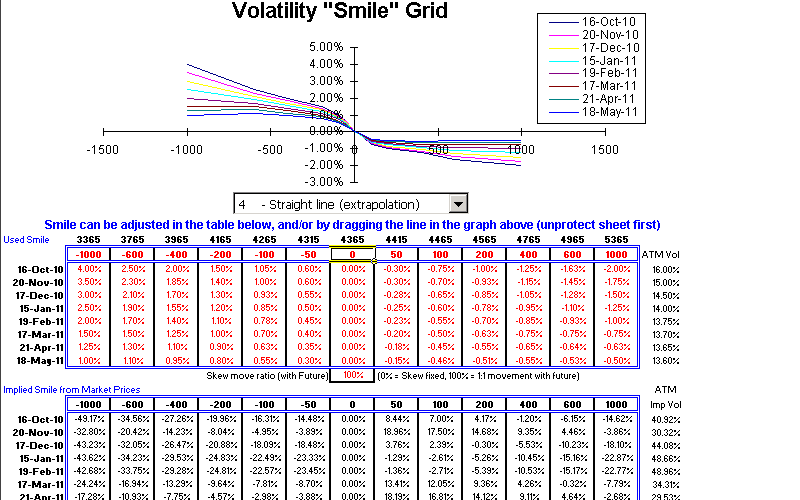 Graphical modification of volatility skews. 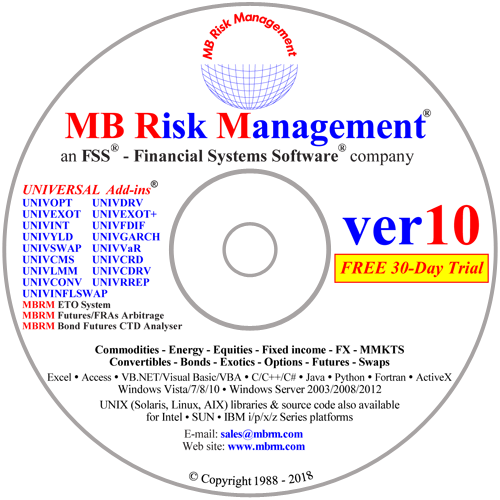 Full risk analysis (including scenario analysis). Risk broken down into individual contracts and strikes. 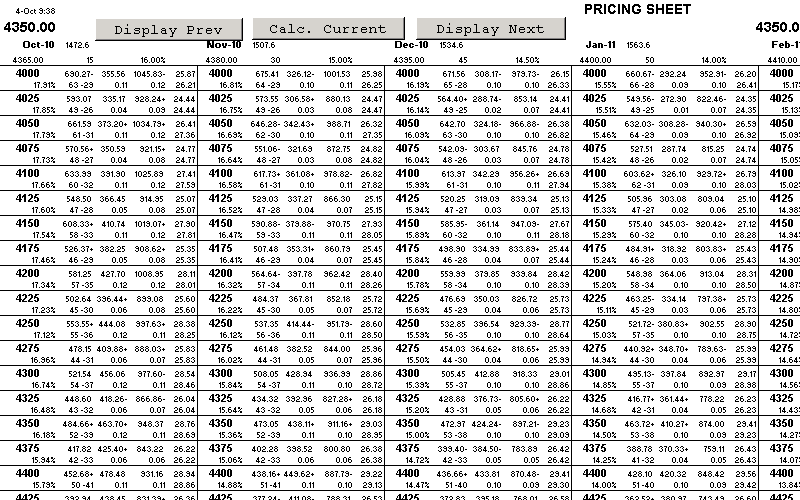 Pricing sheets can be easily adjusted for different formats. Multiple formats for one contract possible. Up to eight contracts on one pricing sheet. Open system approach enables linking to most real-time feeds. 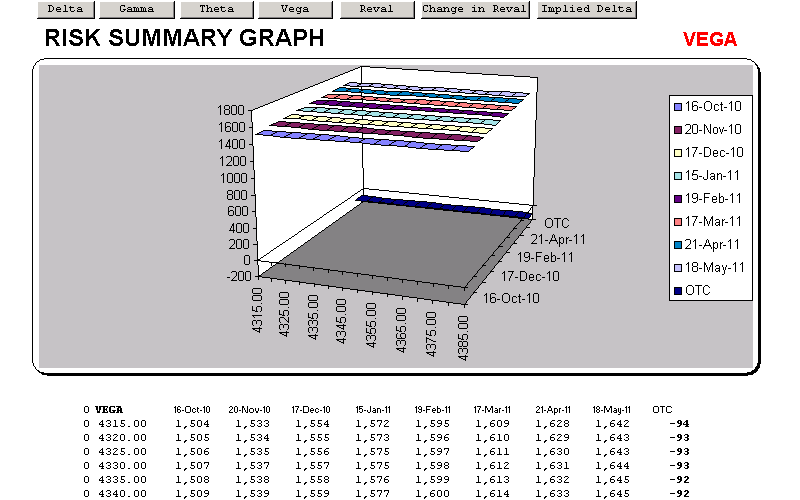 Positions from multiple dealers/contracts can be monitored and consolidated centrally. 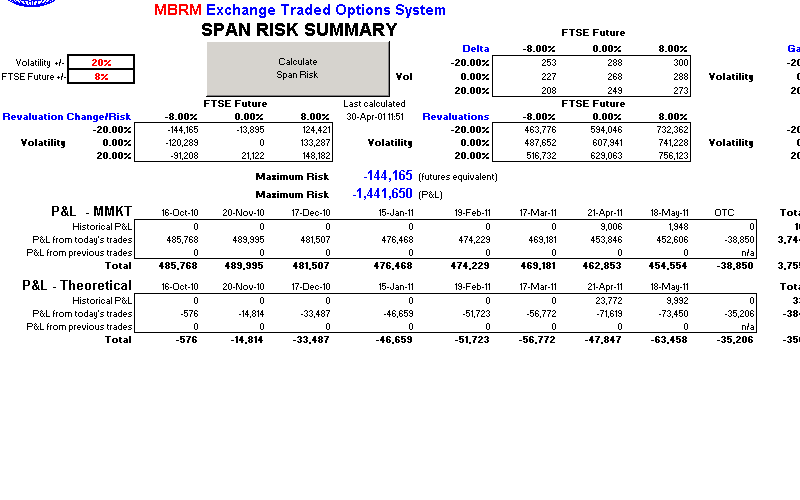 NOTE: The MBRM Exchange Traded Options System requires UNIVOPT - Universal Options Add-in and UNIVINT - Universal Interpolating Add-in to operate.